After 30+ years in business, Midland Lead is still the only UK lead manufacturer to offer machine cast lead, sandcast lead and rolled lead. We enjoy working with customers all over the world in the construction, healthcare and heritage sectors. So whatever project you’re working on, we can help. We will supply whatever kind of lead you need, at competitive prices – check out our trade account too. At Midland Lead, you can choose the type of lead at the required specification for every project, from church roofs to lead-lined boards. Whatever you need, we’ll make it for you, right here on our purposes-built site in the East Midlands. Choose from machine cast lead (BBA-certified) and rolled lead (BS EN) sheet in thicknesses from code 1 (0.44 mm) up to code 8 (3.55mm). Choose sandcast lead in thicknesses from code 6 (2.65mm) up to code 8 (3.55mm). Order lead-lined boards for medical use and sound insulation in any quantity you need. Choose from a wide range of essential ancillary products, from copper nails to lead ingots to patination oil; these are the products to help you or your clients apply all the right finishing touches. What do you want from your lead supplier? Maybe you’re looking for better prices, or better assurances of quality. Perhaps you’re looking for a more flexible level of service – or you want a trustworthy company that you can enjoy dealing with. These are all good reasons why our customers choose Midland Lead. You’ll find us approachable, friendly and easy to deal with, whether you want a single order of rolled lead, or a custom consignment of sandcast lead. We’re still a family firm at heart. We’ve grown quite a bit in thirty years – we’ve got a 13 acre site with two melting kettles, casting machine, sand-cast facility and four cutting lines, and we produce in excess of 20,000 tonnes of lead sheet annually. But that hasn’t changed the way we work. And it hasn’t changed who we work with. 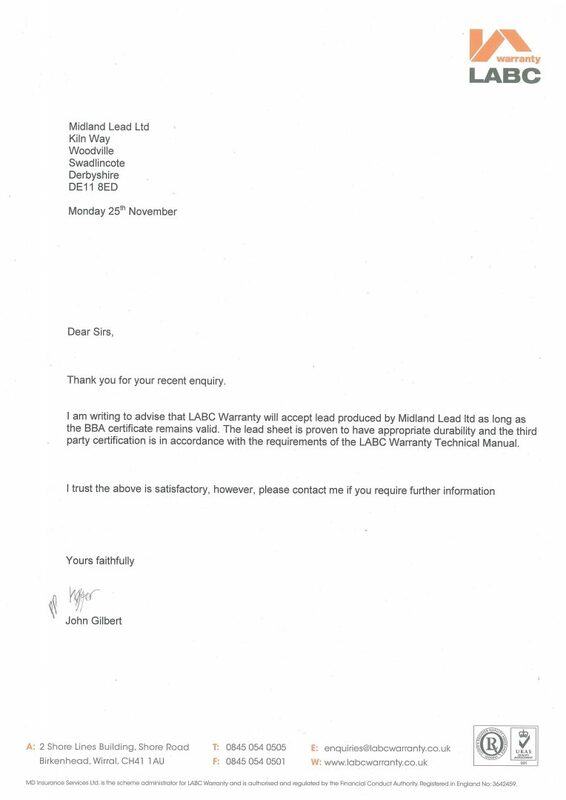 Midland Lead has always worked with small, medium and large companies – and we always will. Midland Lead has a strong history of supplying independent merchants. Perhaps we can work with you too. Just give us a call on +44 (0) 1283 224 555 and find out more. What about all those other things? Quality assurance, customer service and delivery – how do we measure up? We know you’ll enjoy working with us too. We’ve got a friendly, knowledgeable team here at the factory. Whatever your lead requirement, we can handle it. And, if you call us, you’ll always speak to someone who knows what they’re talking about. There’s lots more useful information on the site, but if you want to talk over your requirements – or ask us any questions – we’d love to hear from you. Call us on +44 (0) 1283 224 555.